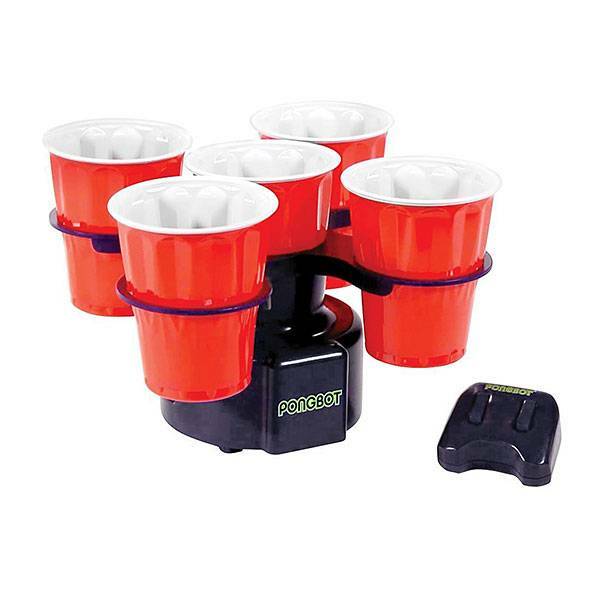 Pongbot brings that level of challenge to a classic drinking game, beer pong. This motorized cup holder takes the standard stack of cups and brings it up a level by forcing players to toss the ball at a moving target that spins, darts, and randomly changes direction. Basically, it simulates beer pong for people who aren’t drunk. Featuring an automatic and a manual mode, the variations are endless.